Simply a classic wedding band for women that has the same color as any white gold ring at a fraction of the price. 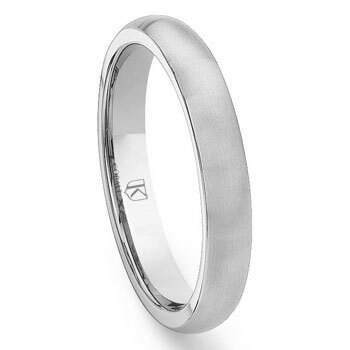 This 4mm cobalt chrome wedding band ring features brush finish on the outside and a comfort fit design on the inside. Unlike traditional gold or silver bands, this ring will stay white in color forever and it will never tarnish. It also comes in high polish finish and different widths. Click on the following links for matching bands in various band widths 6MM, 7MM, 8MM.